Whether you are the bride, groom, or any other member of the bridal party, we are here to help you look and feel your best on the big day. Grooms, parents, bridesmaids, and all other members of the bridal party are welcome to stop by at their convenience no appointment necessary. Bridal gowns require an appointment which can be booked below by clicking the “Book an Appointment” button. When booking an appointment please include your wedding date in the notes section. Please note that all gowns worn by a bride require an appointment. There is a $30.00 fee to reserve your time with our seamstress. If you decided to have your alterations done by Sew Fitting the fee will be taken off the cost of your alterations, if not that fee is non-refundable. Any missed or late appointments are subject to a $25 fee per occurrence if Sew Fitting is not given 24 hour notice. Sew Fitting requires 6-8 weeks for bridal alterations anything less than that will be charged at a rush rate. Every bride receives an estimated price of alterations at the first fitting. The estimated price is based on the anticipated time required for necessary alterations and design changed as determined during the first fitting and the expected cost of any fabric or other materials to be provided by Sew Fitting. This being said the final price may be more or less than the estimated price. 50% of the estimated price is due at the first fitting, the remainder is due when the bridal gown is picked up. My dream wedding dress is completely thanks to the amazing team and owner of Sew Fitting. When my now husband proposed to me, we were moving fast with planning. We got engaged in November and were to be wed that August before all my amazing bridesmaids headed off to grad school across the country. And with the dream dress I chose we had quite the task ahead of us. 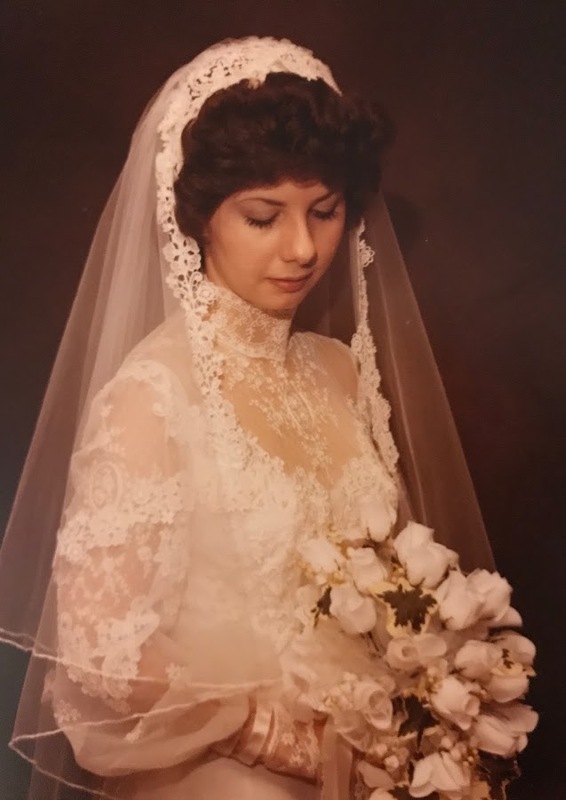 That dress happened to be the same dress my mother wore on her wedding day thirty years ago. When my mom and I began talking about dresses we were looking at some of the styles I liked on Pinterest and my mom saw a lot of similarities to her dress so she asked if I wanted to try it on. That dress hadn't left it's box in over thirty years. When we took it out it fit perfectly length wise however, it couldn't zip past my shoulder blades due to a curve in my spine. She nervously asked if I still liked it and I said yes. My mom graciously said I could have whatever done to the gown I wanted. I got a recommendation from a very good friend and we went straight to Sew Fitting. All the employees, especially the owner, took lots of time out of their busy day to try and fit me into the dress of my dreams. This dress had it all; sweetheart neckline, lace, and a glorious train. Cisa began her magic with pinning and then we came in a month later with my mom, dad, and maid of honor. My dad had unconventionally been the one to choose the dress originally, so as soon as I walked out everyone in the room lost it because my dad couldn't stop grinning. It fit like a glove with the train flowing perfectly behind me. The lace applique was smooth against my arms and the back had a slight dip for an easy zip. The loose applique had been sewn back on and the sides were let out to fit me perfectly. At the last fitting I had the dress bustled so the train fell behind me like wings and everything was perfect. On the big day it was meant to be because it slid on like a second skin and let me twirl around without being uncomfortable, just the way I always dreamed as a little girl. Without Sew Fitting I would have never had the dress of my dreams, but that isn't the end of this story! As the days got closer I realized that none of the suit stores were working for us. I called Cisa and sure enough she could get us our exact color for half the price other places were charging. She got all the men fitted and ordered faster than I thought possible with the short time frame we had given her. 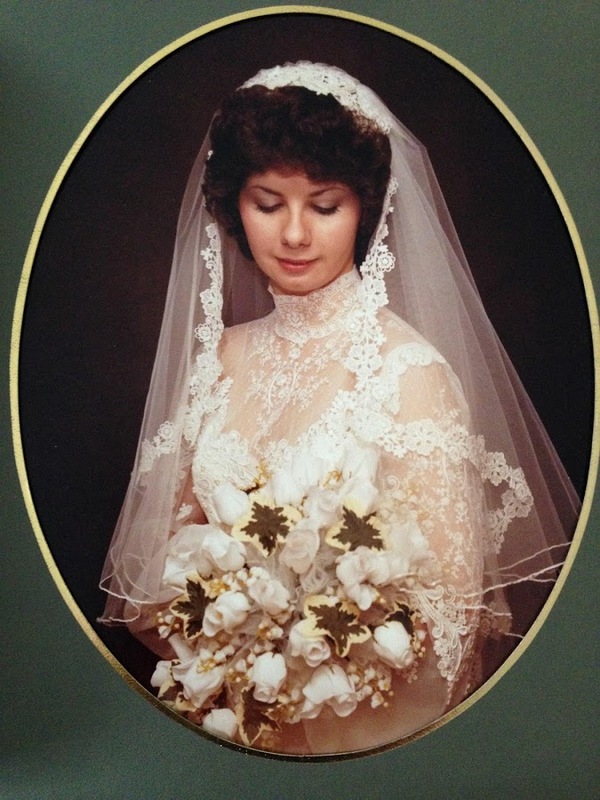 Lastly, a month before the wedding, I made a last minute decision to wear my mom's veil. Unfortunately, my head was much to big for the cap part. 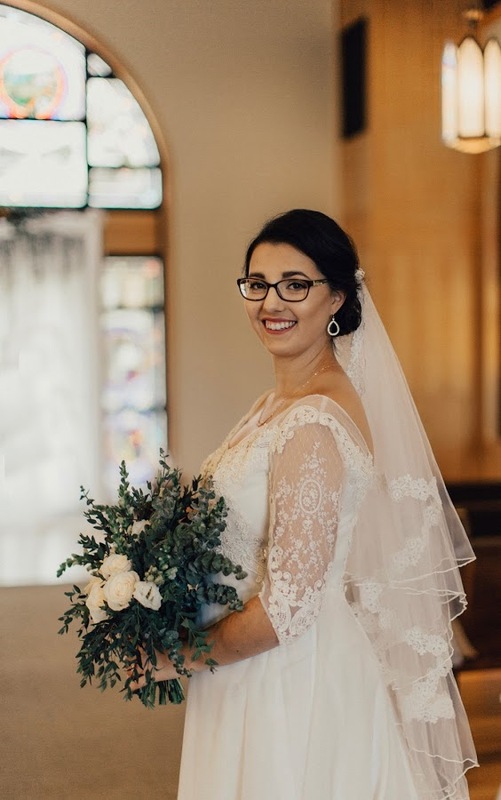 I called up Cisa and ordered a rose gold hair pin for her to attach the veil to and she worked her magic perfectly which lead to the cascading veil I had always dreamed of. It was so comfy that I didn't take it off until we got in our car to drive to our honeymoon happily ever after! To this day my mom and I have referred over thirty people to Cisa and her amazing team due to their affordability, quality, craftsmanship, and timelines. Thank you Sew Fitting!